A new year brings new ideas. Beyer Carpet Cleaning is always looking for new ways to innovate our customer service, experience and quality. 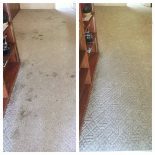 There is never a moment that goes by where the owners of Beyer Carpet Cleaning aren’t thinking of new ways to improve their services. From purchasing new equipment to maintaining flawless craftsmanship to providing information upfront so there are no surprises Beyer Carpet Cleaning is always thinking about their customers. Customer service and satisfaction is the #1 goal at Beyer Carpet Cleaning and this year they are bringing in new ways to enhance the customer’s experience when it comes to scheduling an appointment. It can be scary, intimidating or timely trying to contact a carpet cleaning company to ask questions and get the services you want. For many, time is at the top of the list as well as having accurate information. We are all busy with jobs, family, activities and so on. At this point in time technology has become a pivotal role in everyday life. You can order just about anything with a touch of a button from groceries to take-out to movies tickets to pay bills and the list goes on and on. These functions make life, for the most part, easier and you can do these things anywhere! Well, with the carpet cleaning industry they are a little slower at catching up with technology. 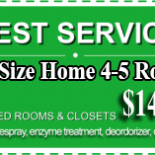 Most professional carpet cleaning companies in San Antonio don’t even list their prices on their websites. There are some who do but as soon as they arrive to your home the prices quickly changes. What is 1 room is now 2 and services you don’t need or want are forced onto your bill. With Beyer Carpet Cleaning they are upfront about everything when speaking with a customer. 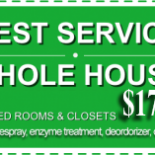 Their prices listed on their website is exactly what you will pay for the service you want. They do not force unwanted services and they do not change their price when they arrive to your home. 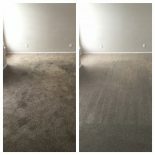 At the end of every conversation Beyer Carpet Cleaning goes down a list of expectations because everyone deserves to know what they are or are not receiving when scheduling a carpet cleaning. With that being said because Beyer Carpet Cleaning doesn’t want customers to be taken back by what they are getting for their monies it has been difficult and scary for them to offer quick and easy online booking solutions. However, Beyer Carpet Cleaning has found a program that allows them to put as much information as they want for customers to be able to schedule a carpet cleaning, upholstery cleaning or tile and grout cleaning at the click of a button. As of right now if you were to go to the Beyer Carpet Cleaning website there is a page titled contact us. This allows customers to fill out a form and send it via email to Beyer Carpet Cleaning with their questions, requests or anything they want really. Once it is received the Beyer team will contact the customer via email or phone answering their questions and getting them scheduled. This may be an easy way to make contact but an even easier way is coming. With the new online booking system customers will be able to pick the time slot they are needing, select the services and submit the request to the Beyer team. At this point you are scheduled and a member of the Beyer team will contact the customer to make sure all the info and selections are correct and to, once again, make sure there are no surprises when they arrive to your door. With just a couple of steps it has become less intimidating to schedule that much needed carpet cleaning and you can see what your total will be before the technician arrives. Easy peasy!! This feature will be available starting in February so be on the lookout when it’s time to schedule your carpet cleaning.